by J. Scott Kappas Esq. Noted author, psychologist and certified firearms instructor, Dr. Bruce Eimer, stated, "Anyone who carries a concealed firearm and who travels, should keep this guide with them all the time. Use this guide to refresh yourself on the gun laws and restrictions of any state you expect to pass through. This book could keep you out of jail. 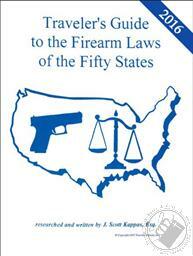 I recommend it to all of my concealed carry students." Scott Kappas was born and raised in the great gun-loving commonwealth of Kentucky. From an early age, Scott learned from his parents to appreciate the personal liberties that Americans enjoy more fully than any other people. But on a family vacation to the northeast, he found that not all rights were as well respected as others. The sign at the Massachusetts border stated "minimum 1 year in prison for violating any firearm law of this commonwealth." Thinking that this applied only to felons possessing firearms, Scott and his family ignored the warning and continued onward. Upon returning home, he found that simply having a gun in the glove compartment without a Massachusett's carry license would be enough to send him to prison for a year. He decided to research the issue and find out more. 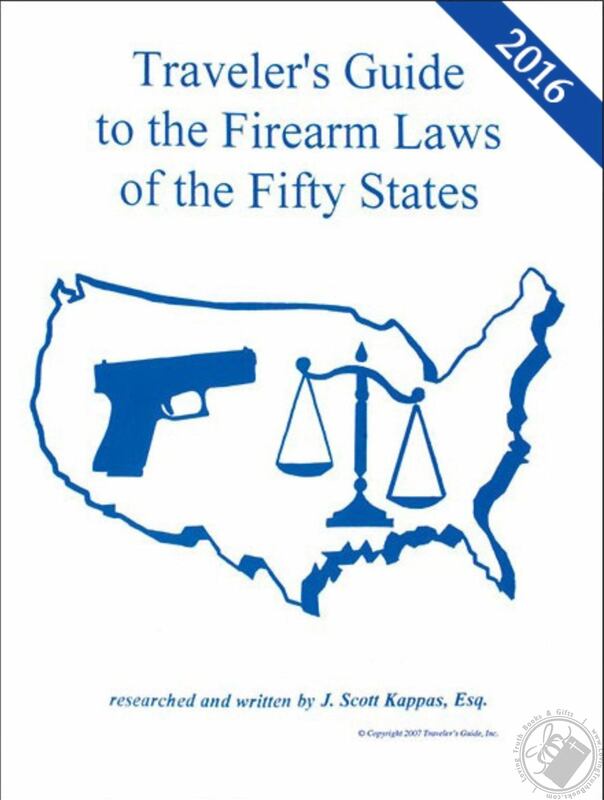 This was how the Traveler's Guide to the Firearm Laws of the Fifty States was born.